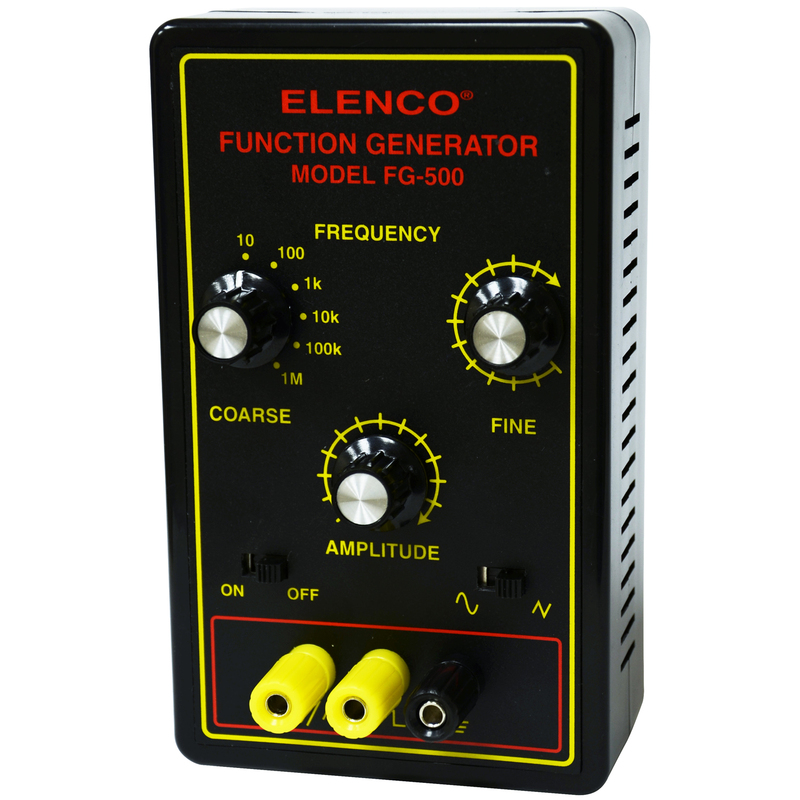 This FG500 Function Generator is fully assembled and tested. It contains a complete function generator capable of producing sine, square and triangle wave forms. The frequency of this generator can be continuously varied from 1Hz to 1MHz in 6 steps. A fine frequency control makes selection of any frequency in between easy. The amplitude of the wave forms are adjustable from 0 to 3Vpp. 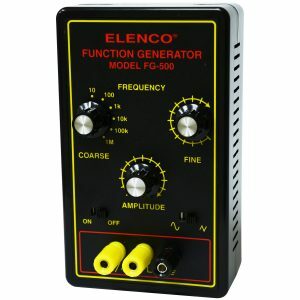 This FG500 Function Generator is fully assembled and tested. It contains a complete function generator capable of producing sine, square and triangle wave forms. The frequency of this generator can be continuously varied from 1Hz to 1MHz in 6 steps. A fine frequency control makes selection of any frequency in between easy. The amplitude of the wave forms are adjustable from 0 to 3Vpp. 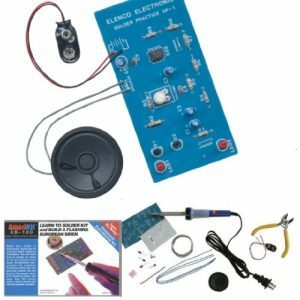 This complete function generator system is suitable for experimentation and applications by the student. 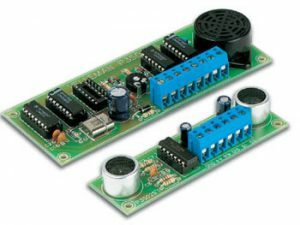 The entire function generator is comprised of a single XR-2206 monolithic IC and a limited number of passive circuit components. Frequency: 1Hz – 1MHz in 6 decade steps with variable ranges. Amplitude: 0 – 3Vpp at 9VDC input. Distortion: Less than 1% (at 1kHz). Flatness: +0.05dB 1Hz – 100kHz. 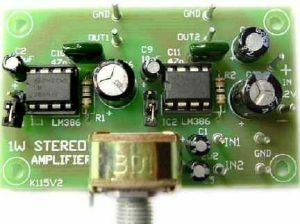 Amplitude: 8V (no load) at 9VDC input. Rise Time: Less than 50ns (at 1kHz). Fall Time: Less than 30ns (at 1kHz). Symmetry: Less than 5% (at 1kHz). Linearity: Less than 1% (up to 100kHz). 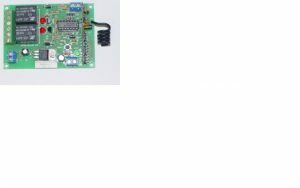 Power Requirements – Standard 9V Battery or 9V to 18VDC at input. Operating Temperature – 0C TO 50C.